Bloomberg: Apple abandons development of wireless routers. End of an era. I just bought a new AirPort router a few months ago and love it, but the handwriting was certainly on the wall with this product that hadn’t been refreshed in three years. As much as I’ll miss the AirPort brand, this move is consistent with Apple’s product strategy. Contrary to popular opinion, they don’t always insist on making every bit of gear in the ecosystem—only the ones where the existing options aren’t satisfactory. They haven’t made a printer in almost twenty years and got out of external displays earlier this year; dropping out of the wireless business is a logical next step. One of my good friends from the TFC is slightly less famous than her dog. 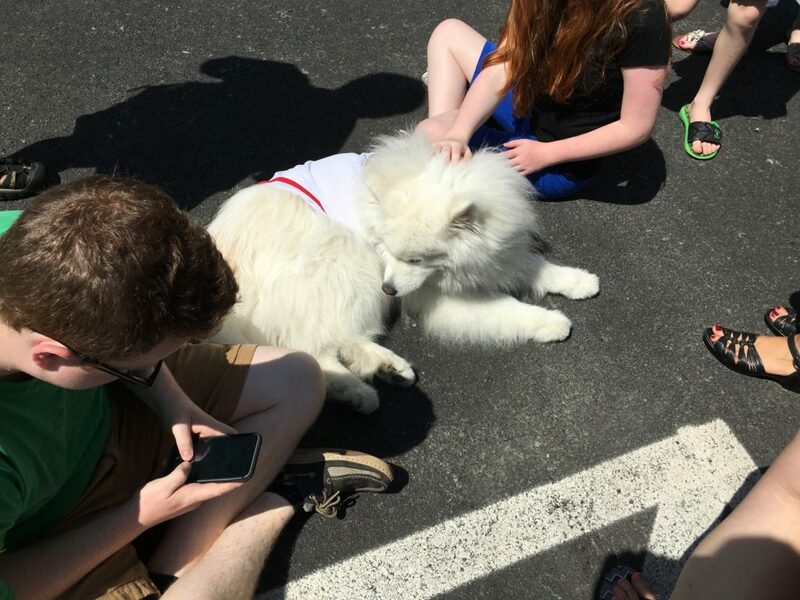 That’s no knock on Dana, but when your dog is Instagram celebrity and gorgeous Samoyed Harvard Dangerfield, you get used to playing second fiddle to his gorgeous floof. Harvard’s having some health troubles, so Dana has put up a page selling a calendar and some other Harvard merch as a fundraiser. Do your Christmas shopping a favor and pop over and buy a calendar!